During Legends & Lanterns, you have the opportunity to interact with a Plethora of Playful Paranormal Poltergeists from parts unknown. These infamous witches, villains, and spirits from lore and legend have unleashed the magic of their enchanted lanterns in order to travel from regions beyond to bring you the eeriest entertainment anywhere from Tombstone to Transylvania! This season, Legends & Lanterns is dedicated to celebrating macabre literature, theatre, and classic horror cinema. 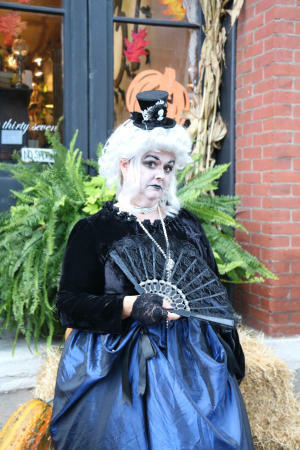 We hope that you will celebrate with us, enjoy a few new characters, events, and attractions that will highlight our "spirited" journey through Halloween history as a way to honor classic works as well as recognize the imaginative individuals who have used the creative potential of the written word to inspire a bump in the night AND send shivers down our spines. When you visit with one of our Legends, be sure to get a "stamp" for your Passport. Each of our ghostly guests has their own special mark, so you'll never forget your enchanted encounter! Join us as the Missouri First State Capitol provides the eerie backdrop for a retelling of "The Legend of Sleepy Hollow". Two ghostly residents of St. Charles&apos; past will materialize to act as your master storytellers, utilizing audience participation (and a few surprises) to recount the tale of Ichabod Crane, Katrina van Tassel, and of course, the terrifying Headless Horseman! Hop aboard and enjoy a leisurely jaunt on an old-fashioned horse-drawn hay wagon. The Missouri River and historic architecture of Main Street set the scene as a Halloween History Guide provides a spooky (but fun) overview of the traditions and folklore of this holiday that has been tricking and treating people for generations. You&apos;ll never look at Main Street quite the same way again, as your guide shares insightful anecdotes and trivia about sites or mischief, villainy, and the paranormal that have shaped the legacy of the historic district. 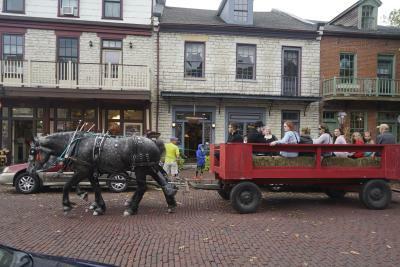 These one-way hayrides will run continuously during festival hours. They are free, with no tickets required. Bienvenidos amigos! Explore the vibrant and colorful traditions of the Mexican Day of the Dead at Plaza del Dia de los Muertos. 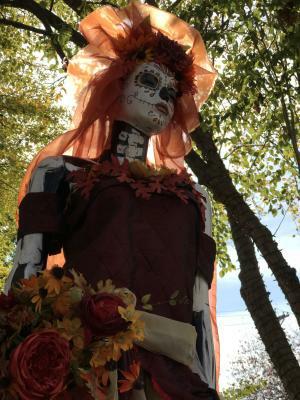 Enjoy learning about the rich heritage and customs of the holiday from La Catrina, the spirit of Dia de los Muertos. Create your own unique decor at our craft station, and even get a festival Day of the Dead make-over from one of our professional face painters! Thanks to Legends & Lanterns, it seems that Main Street has come down with a case of "Hay Fever". 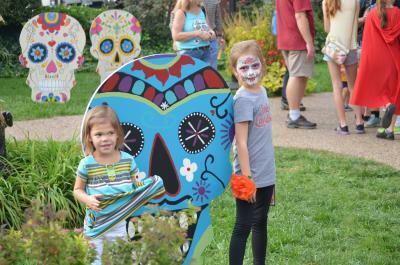 Stroll over to the 400 block of South Main where Kister Park has been transformed into Scarecrow Glen. Explore and enjoy as every corner of the park is populated with dozens of cheerful straw figures. Vote for your favorite in our very own "Straw Poll"! Be sure to stop by Writer's Block at the OPO Plaza, the symbolic centerpiece of the Legends & Lanterns celebration of classic gothic literature, and the creative minds that have sent a shiver down our spines. It is here that you will be able to brainstorm story ideas with the biggest superstars of the horror genre: Edgar Allan Poe, Mary Shelley, and the Brothers Grimm. Perhaps you will be inspired enough to pick up a quill pen and try your hand at writing your own suspenseful poem or short story. If you so choose, you can even post your masterpiece on our "POE" tree, where you can enjoy reading the clever musings left behind by other visitors. You won't want to miss Writer's Block: Unbound! A zany fast-paced show that takes you through an abbreviated history of your favorite frightful books and fairy tales. From Bram Stoker to Stephen King, no monster myth is safe, as Poe, Shelley, and the Grimm Brothers irreverently skewer the classics during this light-hearted celebration of the creativity of the human imagination and written word. It&apos;s impossible to be angry when the haunting melodies of the Halloween season are brought to life by everyone&apos;s favorite musical mob. Join the Angry Villagers on the steps of the Gazebo in Scarecrow Glen (400 block of South Main) as they present a creepy chorale of spellbinding tunes for a toe-tappin&apos;, hand-clappin&apos;, good time (no pitchfork required). Have you ever wondered why we wear black to funerals? Or why our homes have "living" rooms? Or what the symbols and markings on old tombstones mean? Find the answers to these questions and more when you journey to Frontier Park as the historic Katy Deport comes to "life" with Morbid Curiosity: Mourning Traditions of the Victorian Age, an interactive exhibit that utilizes over 60 authentic artifacts to illustrate how Victorians revolutionized the bereavement process and turned grief into an art form. It's thrilling! It's shocking! And it's coming to a screen near you! Transport yourself back to the by-gone era of drive-in theatres when you visit Tinseltown Terror: A Salute to the Golden Age Monster Movies. Relive the nostalgia with clips from your favorite monster classics and SciFi b-movies of the 1930s-1950s. Grab some popcorn and enjoy as these vintage monsters, mutants, and maniacs make their return to the big screen. Curious visitors, have you ever wondered the secret to staying young forever? Look no further! 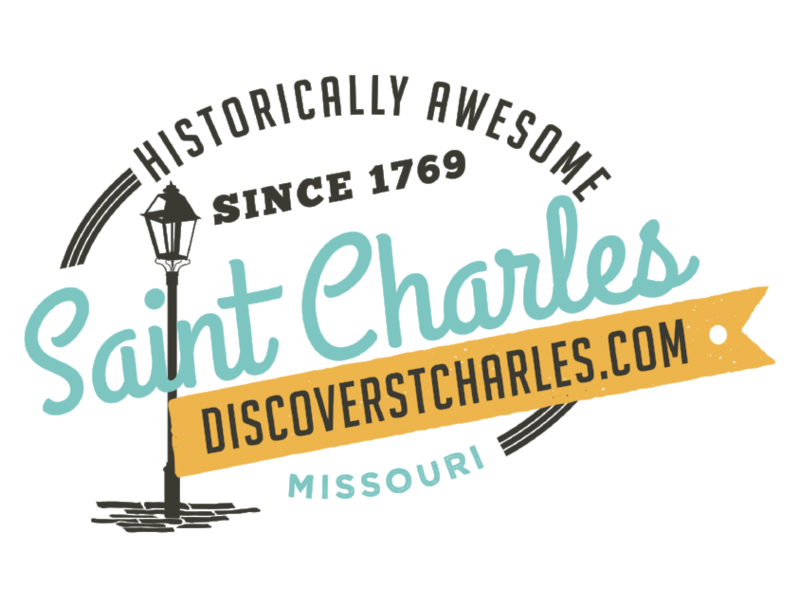 Dorian Gray (the star of Oscar Wilde's 1890 book, The Picture of Dorian Gray), knows the answer and has set up shop here in Saint Charles. Enter his Portrait Emporium (located within the Katy Depot), and see first hand, Mr. Gray's infamous portrait. For a nominal fee, get your picture taken and be astonished as you glance at the final product and see your own self-portrait "age" before your very eyes! To witness this photographic fountain of youth and take home a one-of-a-kind Halloween souvenir you will cherish for years to come, make sure to visit Dorian Gray's Portrait Emporium...it's an experience that never gets old! Twenty minutes prior to the end of each day, the Angry Villagers will begin their final “round-up” of the legendary monsters that have been haunting Main Street, in an attempt to run them out of town. 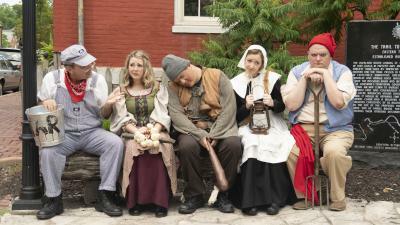 The procession will begin at in the 900 block of South Main, it will then continue on to Scarecrow Glen in the 400 block of South Main, where a small, lighthearted musical skit portraying the Angry Villagers’ attempt to banish the spirits will be performed at the gazebo.